April marks the start of Stress Awareness Month. This month is all about raising awareness of the causes of stress, the negative effects it can have on the mind and body, and how to relieve stress. Most people will experience stress at some point in their life, but constant stress is bad for both the mind and body. There are many ways to minimise stress such as maintaining a healthy lifestyle, opening up about feelings, and dedicating time to relaxing. Many of the projects that we facilitate have mental health and wellbeing as a key focus, and we aim to help groups of all ages maximise the health and wellbeing benefits of their work. Socialisation and getting involved with your local community can directly impact stress levels. Spending time with others directs our energy outward and into something more positive. If you are focused on a task and interacting with others, you are temporarily distracted from your own stress levels. Volunteering in your community can help provide structure, meaningful activity, a sense of purpose and achievement to your life. A combination of working in nature, with a team, on a meaningful task, offers an effective way to improve mental wellbeing and decrease stress levels in a positive and healthy way. If you would like to volunteer and get involved with Horticultural, Forest School and other outdoor activities, please contact Ian via email, at Ian@incredibleeducation.co.uk. 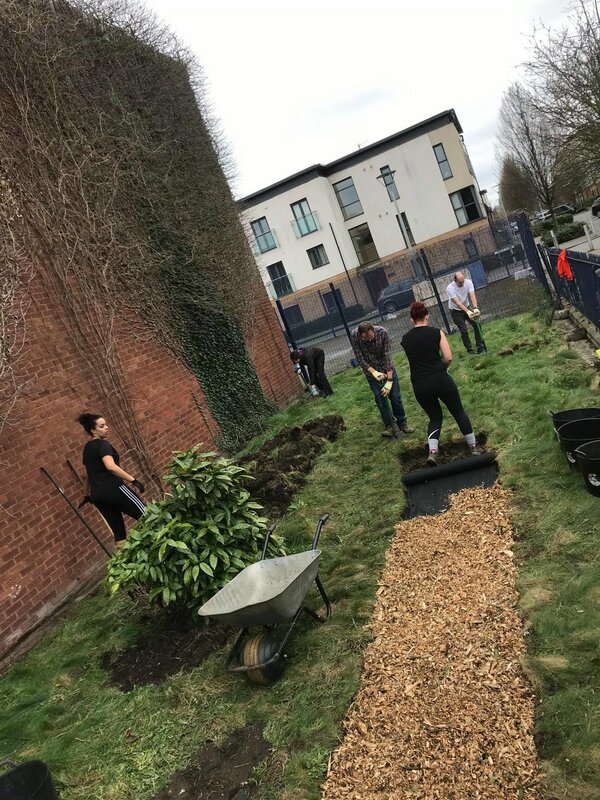 On the 21st of March, an incredible team of 10 volunteers transformed the outside of the Ex-Fit City Broughton building from a disused & overgrown space, into an accessible and vibrant area. This means that the Greater Manchester Youth Network, and other users of the building can now use this space to relax and enjoy their time in. Over the coming weeks the space will develop, so keep an eye out for the changes! Altogether it took a collective of 30 hours (3 hours per volunteer) to transform the space. 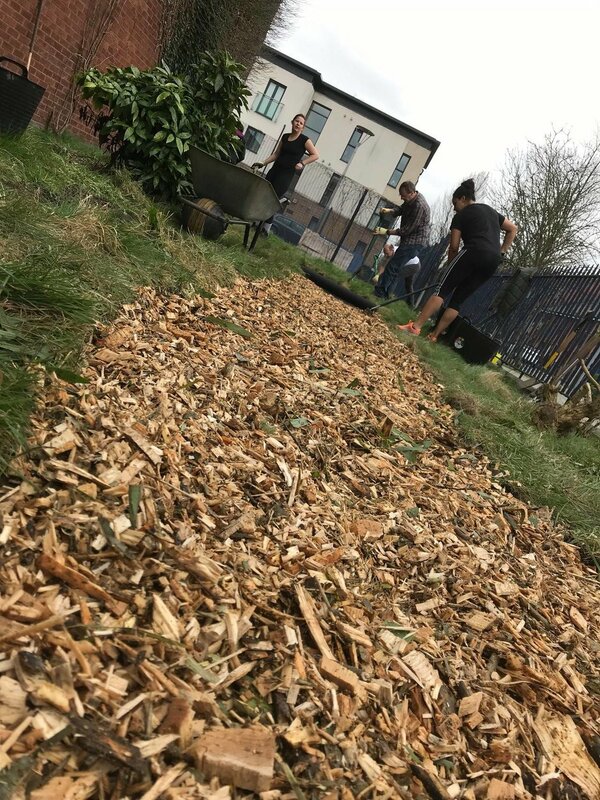 The incredible volunteers from HSS Tool Hire in Trafford Park and Beechfield Brands in Bury created a wood chip pathway, planting beds, and gave the area a general makeover. We really enjoyed this project and the end result was fantastic. 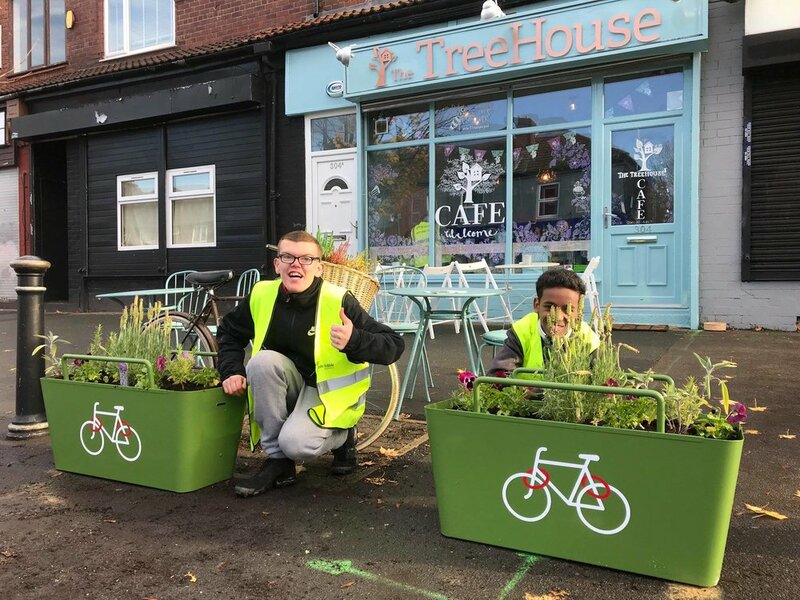 Projects like this really show the power of volunteering and how they connect communities together. Incredible Education are currently delivering a Level 1 Introduction to Forest School Principles qualification at a local primary school. This qualification is accredited through Open Awards and is suitable as an introduction to Forest School for school staff. 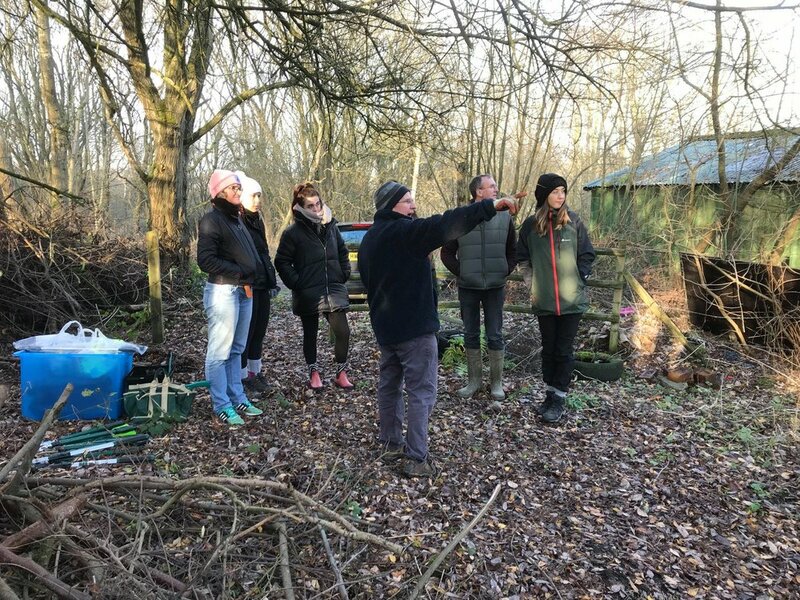 This course is aimed at those who are interested in learning more about the Forest School approach to learning and who would like to help at an existing Forest School. It can also be used as a first step if you are considering taking Forest School Leader Level 3 training at a later date. Participants need to be over 14 years of age and have an interest in working with children and young people outdoors. Approaches to learning and the importance of play. Risk taking and understanding hazards at Forest School. Role of the Forest School leader. Understanding the potential ecological impact of Forest School on the woodland environment. Please contact Judith@incredibleeducation.co.uk for more details/costs. It is World Mental Health Day on the 10th of October, a day which focuses on the power of connecting people with each other and the world around them. The Incredible Edible Network wrote a brilliant piece about the day and included the story of a close personal friend to ourselves. They highlighted the story of Alfred (an Incredible Education volunteer) and how his experience of being involved with a group in his local community had such a positive impact on both his mental and physical well-being. We really enjoyed the read and think stories like this bring to the light the amazing positives that develop from communities coming together. In April, earlier this year we started an exciting new project working with 4 different groups in and around Little Hulton. This included Hulton Avenue, Amblecoat Gardens, Bourke Gardens, and Walkden Manor. 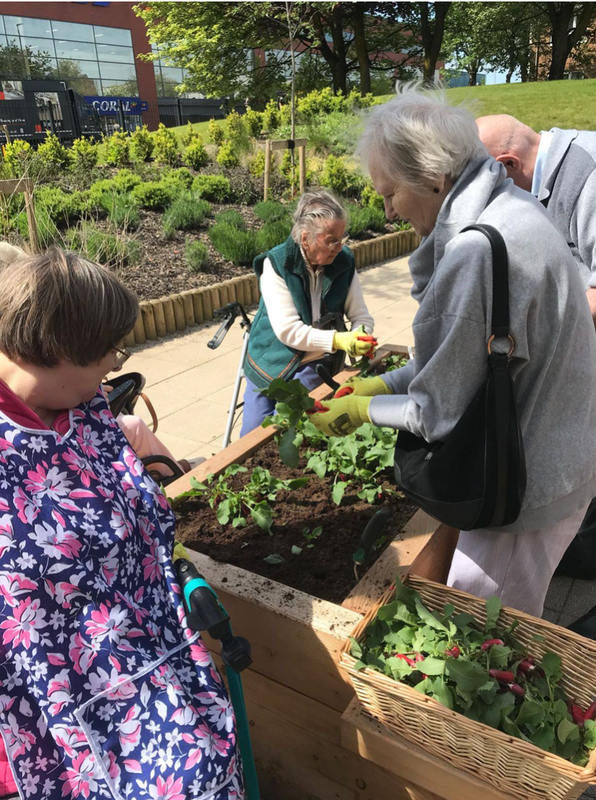 Our aim of the 6-month long project was to offer the individuals involved a route into better physical health & mental health through horticulture and to also offer them opportunities to connect with other people and reduce feelings of isolation and exclusion. Through the months the different groups have completed some amazing work. From one group growing enough veg produce to feed their full housing complex, to another completely transforming a full garden ready in time for summer. We have truly enjoyed working with each group and seeing the progression from week to week has been extremely fulfilling. As well as thanking each person involved we would like to say thank you to NHS Salford CCG - Little Pot of Health Impact Fund which helped to fund this project. Here's a great example of our partnership working - Last year we worked with ForViva and St Paul's Peel Primary School on a project called "Know it grow it". Green and growing celebration event. It was fantastic to see so many Community Gardeners at our Education Centre. On the 12th of October we hosted a 'Green & Growing' celebration event and invited all the groups that we have worked with over the past 6 months. We had over 40 people from Old Lane, Monica Court, Astley Court, Moores House, Salford Sports Village and Age UK, as well as our 'Working in Wood' group.